Presently, there are nearly 16,000 persons with HIV/AIDS in the district, of which 3,500 are under Anti-Retroviral Therapy (ART). There are seven ART centres across the district, according to officials of the Health Department. World AIDS Day is being observed this year on the lines of creating a State that is free from HIV transmission, discrimination and deaths caused by AIDS. In Vellore, there are Integrated Counselling and Testing Centres (ICTC) in 91 places, including the Government Vellore Medical College Hospital, government hospitals, community health centres and a mobile unit. 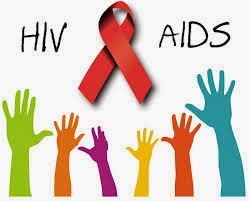 A total of 12,04,288 persons have undergone blood tests at these centres in the district, of which 16,878 have been found to be HIV positive. . The death rate has reduced as those affected are undergoing proper treatment.